I promised I would show you what to make with all those little 2.5" squares and I'm making good on that promise even if I have to go to bed at midnight! I forgot I was going to be mighty busy today and just now (8:36 pm) have a moment to sit and write. 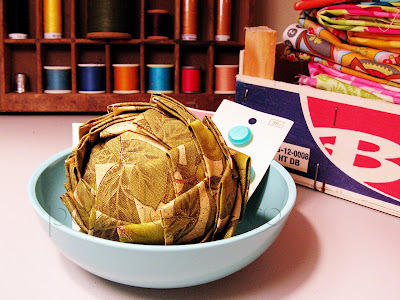 I'm going to teach you how to make this lovely fabric decorator ball that can double as an artichoke or pine cone depending on how you look at it. A bunch of these in a bowl or large vase will give you a beautiful home decor piece. 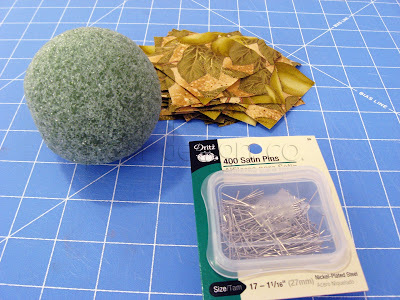 Plus you can make them in all sorts of colors depending on the season/occasion/holiday and add a punch of texture to your decor. 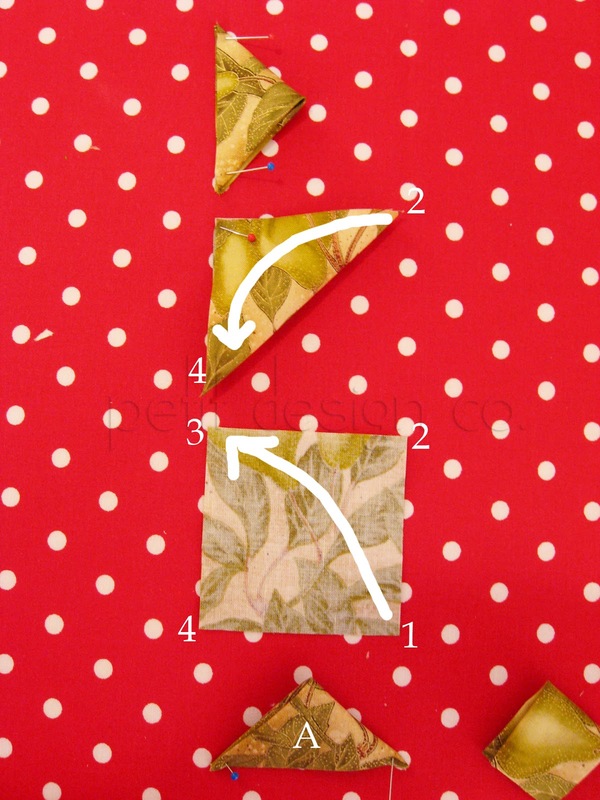 I'm going to start by showing you 3 different ways to fold your fabric. Take your pick as to which you want to use. Feel free to experiment with each method to see which ball you like better. 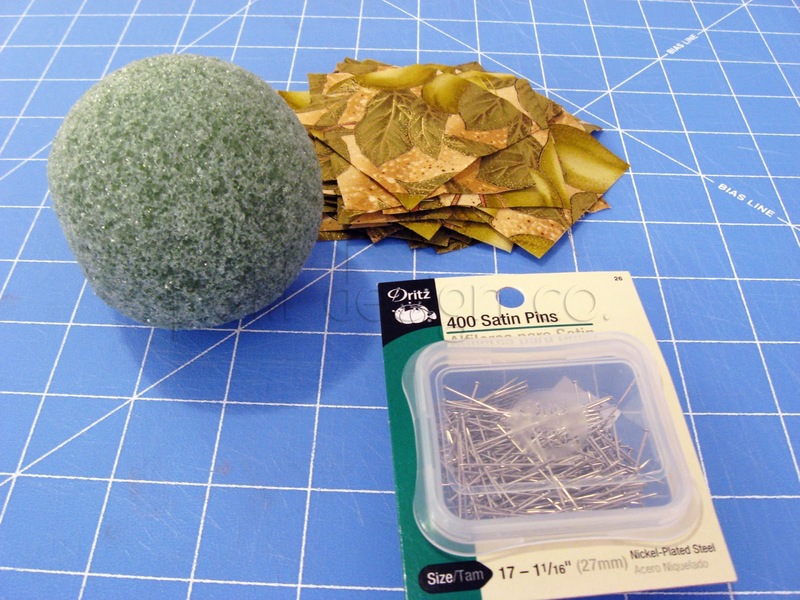 Making one of each will add variety to your bowl/vase but will still feel coherent because they are similar but different. 1) Lay your fabric square right side down. 2) Fold corner "1" over to corner "3." 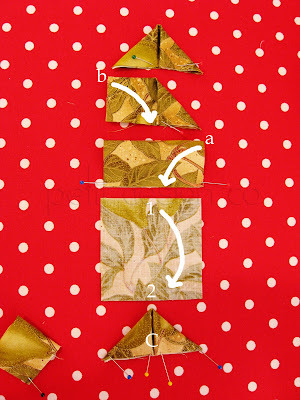 3) Fold corner "2" over to corner "4"
1) Lay your fabric square right side down. 2) Fold side "2" down to side "1." 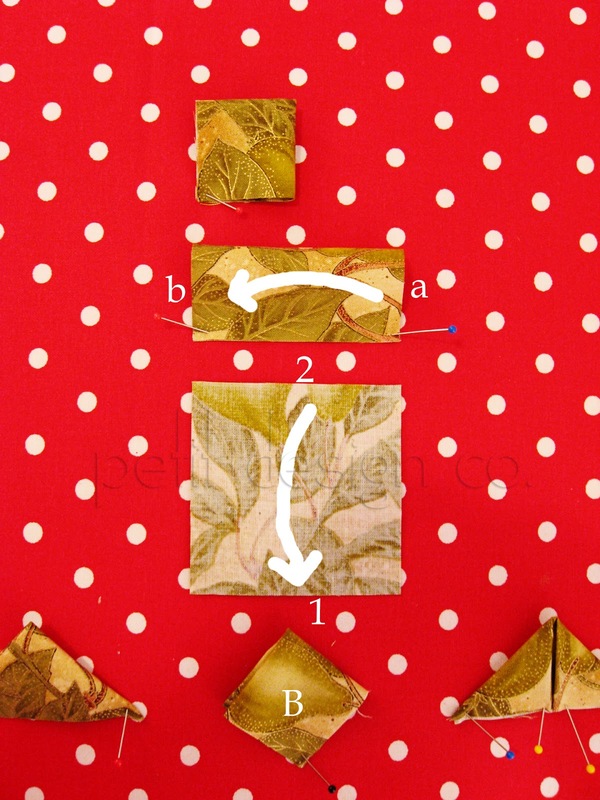 3) Fold side "a" over to side "b." 1) Lay your fabric square right side down. 2) Fold side "1" down to side "2." 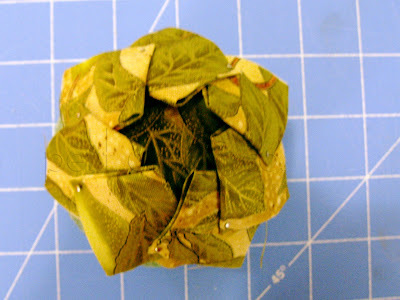 3) Fold corner "a" down to the half way point. 4) Fold corner "b" down to the half way point to meet corner "a." 1) Start by placing one fabric square on the top of the ball. Place a pin at each corner. 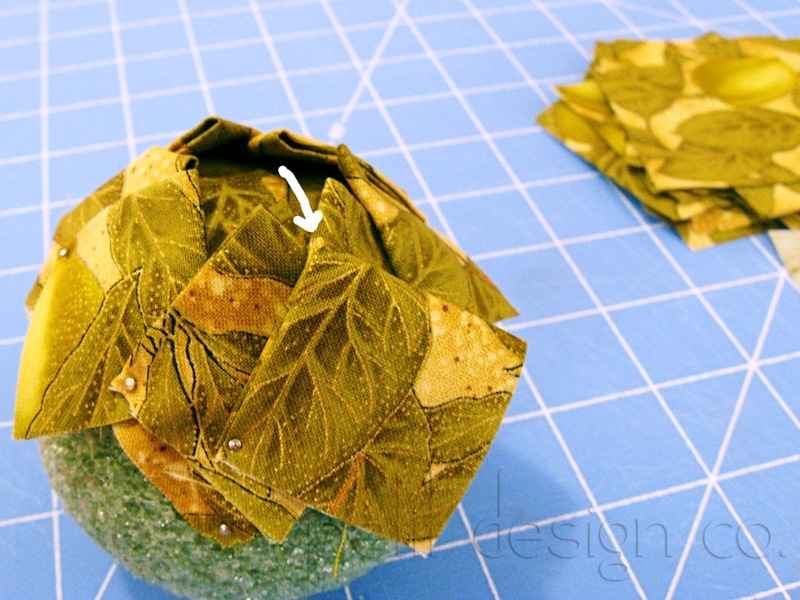 4) Now take your next folded piece of fabric and pin it to the folded piece of fabric you just pinned down. This time place the pin so that you tack down the unpinned right hand corner of your first fabric while at the same time (with the same pin) pinning down the left hand corner of your current piece of fabric. Clear as mud? Continue on in this manner until you form a ring of fabric all the way around the ball. 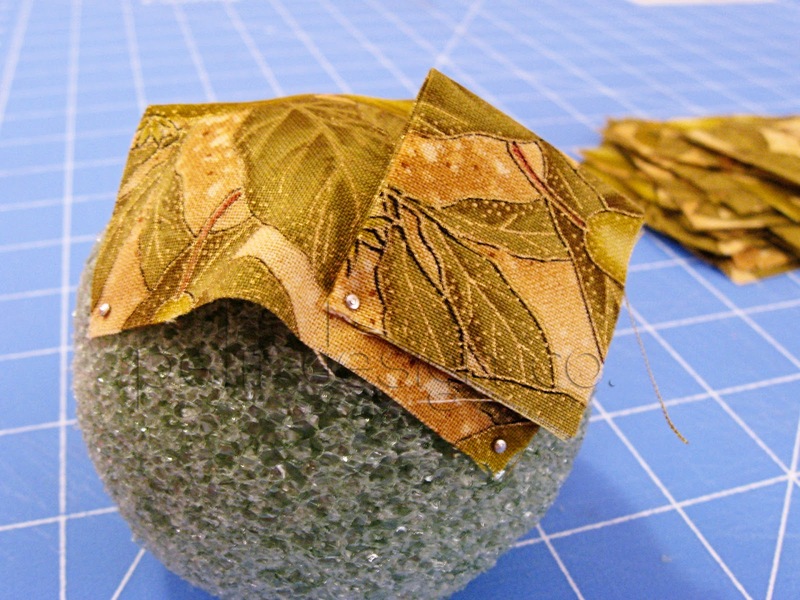 It doesn't really matter how many pieces of fabric you use. I used 7 in the picture to go all the way around. 5) Start the next row in the same manner but a little bit lower on the ball. 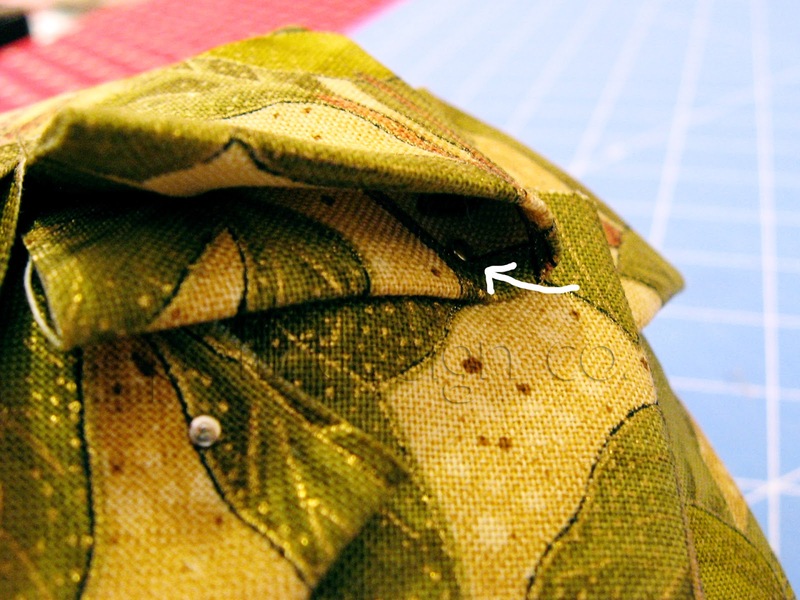 This time stagger the "points" of your folded fabrics so that there is a "point" in between each of the points from the previous row. Continue adding folded fabrics until you finish the row. 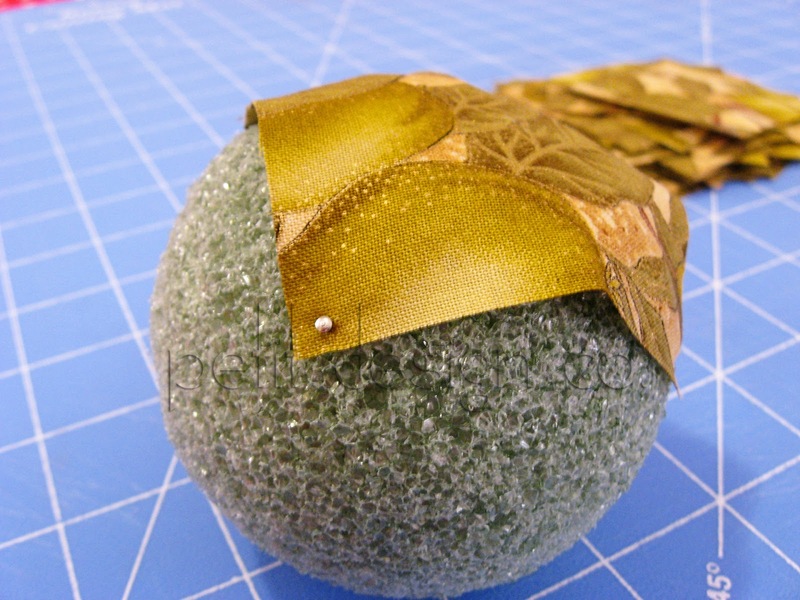 6) Continue on adding rows until you get close to the bottom of the ball. I ended up making 6 rows. 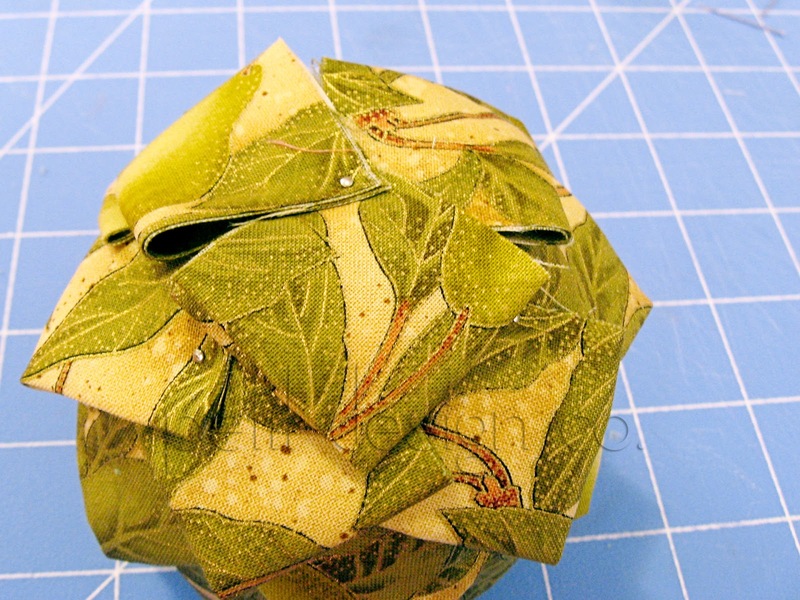 Once you reach the bottom of the ball you can use any remaining squares to cover up any gaps as best you can. Have fun making these. You can even string em up and hang them on your Christmas tree this year. 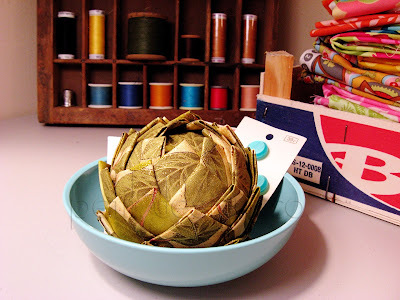 You really chose fabric that makes it look like an artichoke! Very fun! what a neat tutorial! i agree with anne, what a perfect fabric. So pretty. And I agree with Anne that your fabric choice was perfect. oh my this is so amazing. I have been drying real ones to put in a bowl. These are just perfect and will be all over my christmas tree!!! This is a truly cool project. I will be bookmarking for sure!